Product prices and availability are accurate as of 2019-04-22 11:04:13 EDT and are subject to change. Any price and availability information displayed on http://www.amazon.com/ at the time of purchase will apply to the purchase of this product. 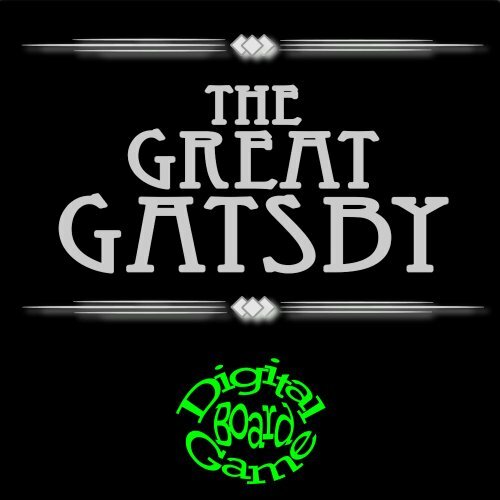 This is a free trial of The Great Gatsby Digital Board Game. 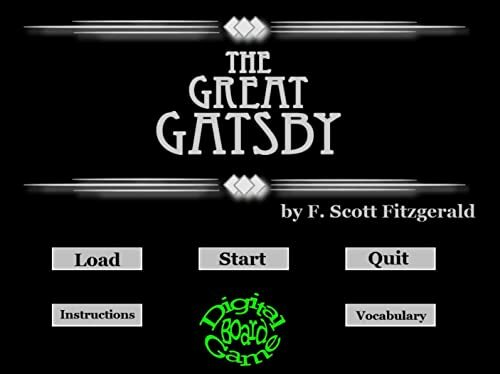 A review game based on F. Scott Fitzgerald's classic novel made by teachers for teachers as a review tool for the classroom. 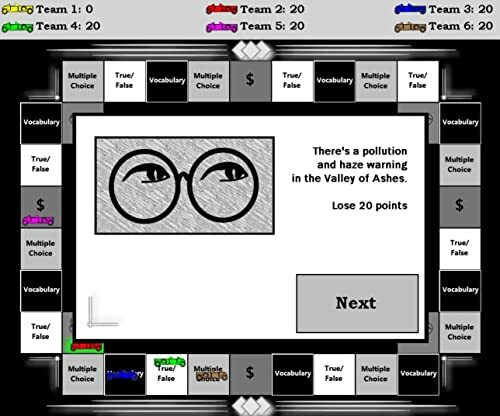 The full version can be used for two to six teams and keeps score automatically. 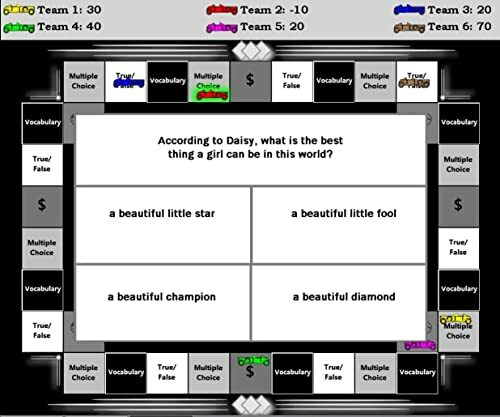 The full version includes over one hundred and fifty vocabulary, true false and multiple choice questions from the text as well as music and sound effects as teams take turns. 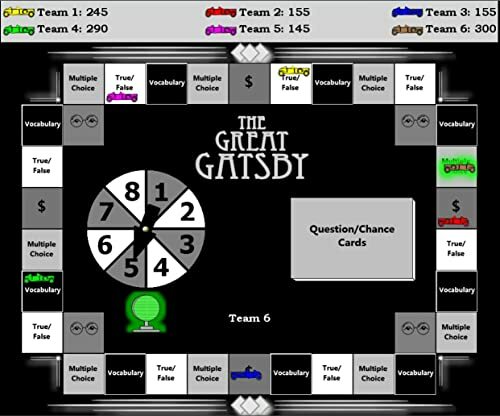 Game can be played with the SmartBoard, Promethean Board or PC. Game features original drawings of characters and symbols and is adaptable with variable teams and game length.